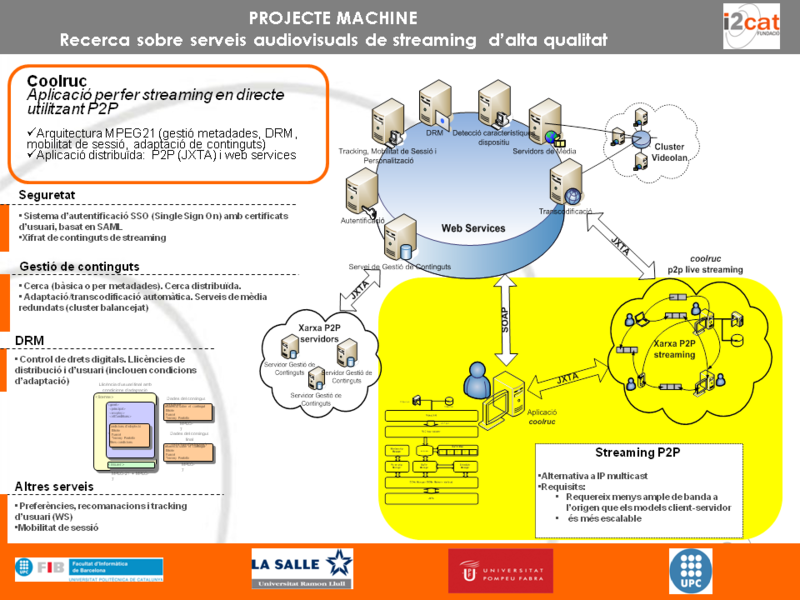 The main objective of the Machine research project was to design and develop audiovisual content transmission mechanisms on heterogeneous environments, either in real time or delay, as well as to construct prototypes for the emulation of network environments that are yet to be on the market. inLab FIB participated in the work package PT2: Advanced systems for the management and distribution of high quality video, developing the concept of P2PTV (P2P live video or live streaming) and advanced audiovisual services based on the MPEG21 audiovisual standard (DRM, content management ...). As a result, the P2PTV application CoolRuc was developed. 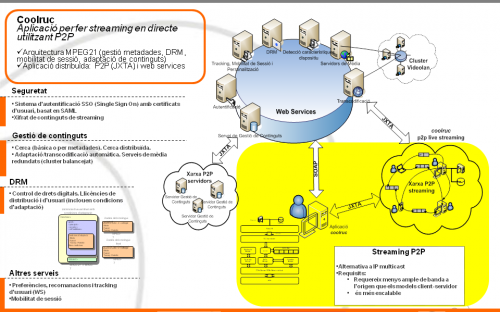 CoolRuc allows users to send and receive video or audio stream live and it is integrated with a SAML-based SSO system. Include knowledge in i2cat clusters, particularly in the audiovisual cluster.